What if you are in need of a competent M4V splitter to trim your M4V files? Faced with diverse video cutter software in current market, it may be hard for you to make a wise decision. With no doubt, an awesome tool can bring wonderful using experience for any users. Don't hesitate. Take action to have one. This M4V splitter, Joyoshare Media Cutter, can be your capable assistant, which offers capability to cut large M4V files into small size. Taking the aid of it, you are empowered to save your finished video files to any common formats or prevalent devices, for instance, MP4, MKV, MOV, WMV, AVI, 3GP, ASF, OGV, DivX, or iPhone, iPad, Android, Apple TV, PSP, Xbox 360, etc. Certainly, this hassle-free M4V trimmer will performs surprisingly well. There is no any quality loss. The well-designed timeline and controller also facilitates you to make a definite selection. 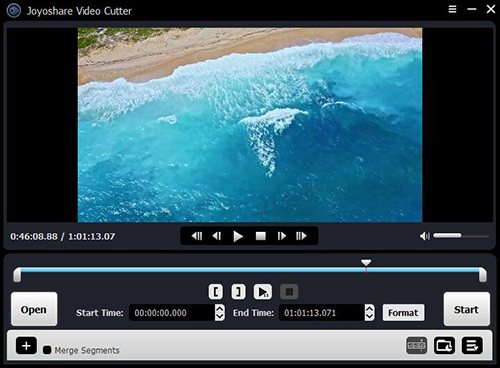 With the exception to split M4V into multiple files, Joyoshare M4V Cutter also has availability to join small video pieces together and produce a new one for you. When it gets down to executing cutting process, it will work fast at up to 60X speed. In addition, you can adopt it to extract audio tracks from original video at your own will. 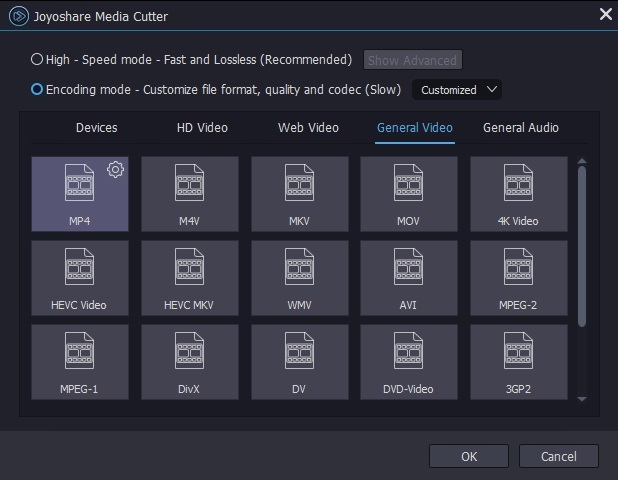 To make Joyoshare Media Cutter help you edit M4V files, you have to download and install it on your computer firstly. Then it's high time that you should add your designated M4V video to this program. Straightly drag it to the main trimming interface or click the "Open" button to select it from local folder. Note: You can only put one M4V video file into Joyoshare Media Cutter at a time. Once your M4V video is added successfully, Joyoshare M4V Splitter will automatically play it for you. Meanwhile, by referring to the timeline and utilizing the handles, you can decide a specific cutting area. Or you can set temporal intervals by entering precise start time as well as end time. 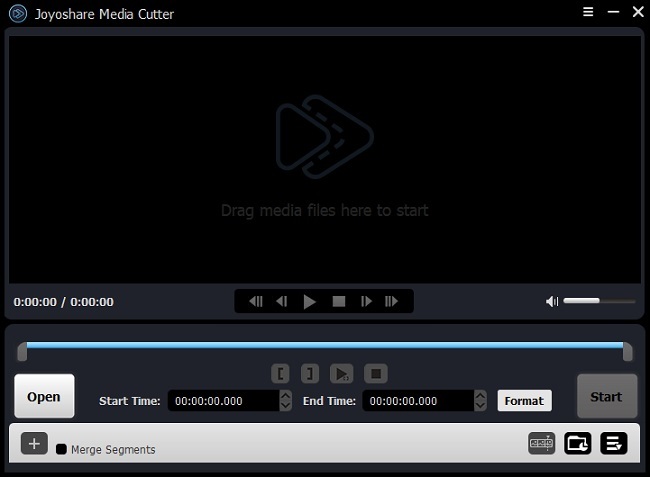 Note: This outstanding video cutter can also be used to combine different M4V files into a new one. What you need to do is just press the "+" button and tick "Merge Segments" option. It will generate more than one M4V video clips as soon as possible. Go forward to hit the "Format" panel to bring up all hidden options. You have to choose a favored mode. The "High-Speed" mode stands for a fast and lossless cutting process while the "Encoding" mode can allow you to customize format, codec, quality, bitrate, frame rate, channel, etc. Aside from M4V, you can get an access to a large wide of formats, including popular devices, HD video, web video, general video and general audio. As long as everything gets ready, you can set about clicking the "Start" button to initiate a cropping assignment. Just wait for a while. Then you can move your step to enjoy your edited M4V video from destination folder.